This is what we could afford. They've been with us a long time. They've done well in the past. In today’s drought, small and mid-sized businesses (SMB) have to be better than they have ever been before. One of the advantages that large businesses have is that they can absorb mediocrity far more than SMB’s can. The advantage SMBs have over their larger competitors is that they are closer to their customer, more capable of creating demand, and they’re quicker and faster. The key to taking advantage of these advantages lies in the people that are executing, adjusting, and executing again. Today, SMB’s can simply not tolerate having the wrong people in important seats. 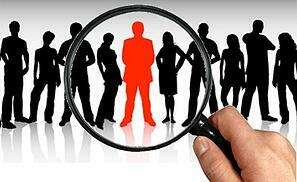 For more attributes and ideas read Bob Corlett’s The Staffing Advisor Blog. I’ve spent my life working with SMB’s and fully believe that SMB’s are Amenrica’s true innovators, job creators, and wealth creators. Your mission is too important not to deal with the people issue. Jim Collins said it best, in his book Good to Great that the key is to get the right people on the bus and the wrong people off. I realize this concept is tremendously difficult in practice, but that difficulty is what gives those who follow it such a critical advantage in the future. So, how are you practicing this in your company?